IT's exams are coming soon, we have started with revising and as usual, I'm more stressed than him, he's forever so nonchalant. -_- And the good thing is LT has no major assessments till end of this year, so at least I don't have another kid to stress over, lol. 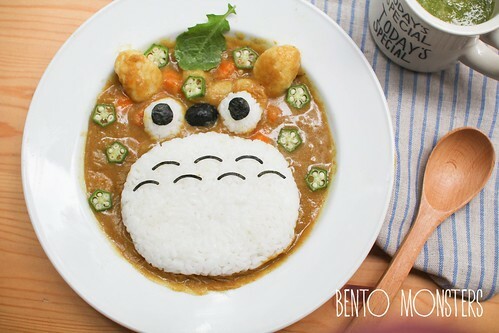 I was planning to finish up writing a half done recipe post in my draft folder today, but I'm feeling lazy, so let me just share some of my Totoro creations instead. 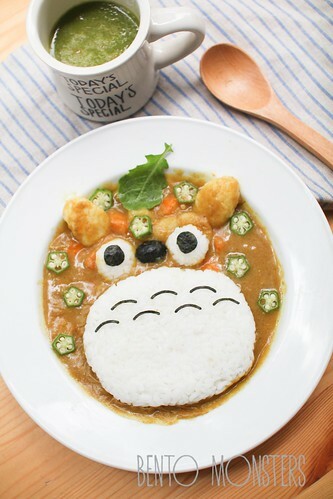 Totoro Japanese curry, this was vegetable curry cooked with carrots, potatoes and lady fingers, we had this with pork cutlet, which I had yet to fry, while taking this picture. 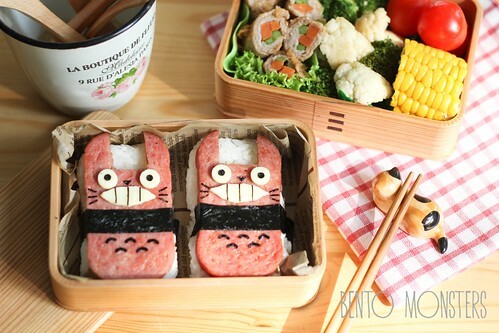 Totoro Spam musubi, which I made last year. 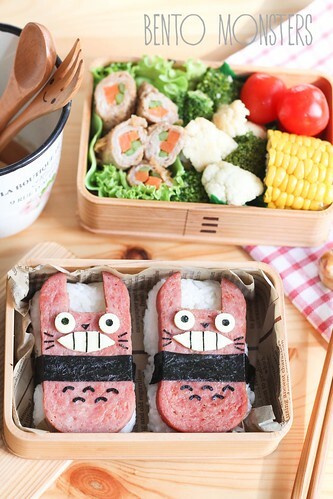 I'm sure you have probably seen these Totoro Spam musubi before. 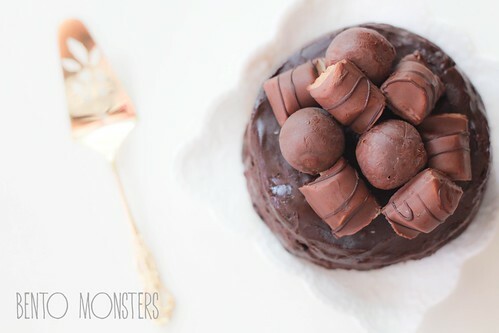 There are lots of different version over the internet and there are some youtube tutorial on how to make them as well. Spam musubi is actually a popular food from Hawaii, this combi is really yummy. 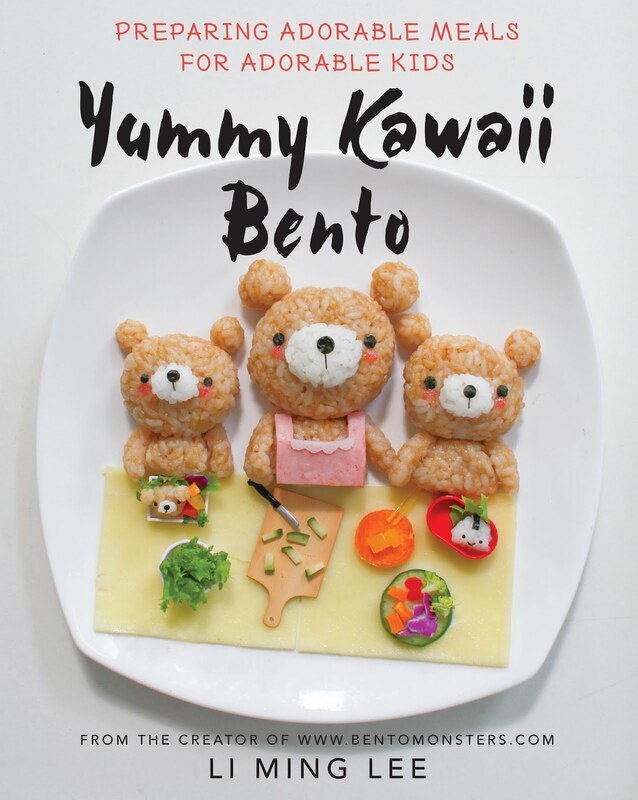 Both Totoro creations are so cute! I especially love the curry one, so nicely done! The curry looks so yummy and cute. I especially love the spam musubi, I have a weakness when it comes to spam,yum!